This essential and comprehensive Mies monograph focuses in its analysis on Mies' design intentions: it reconstructs the buildings in their orginal state, examines them from the present day persepctive and rediscovers the inspiring architecture of a great modern master. The book presents eighty of Mies' works in chronological order. Approximately thirty of these works are analyzed in detail in three parts. In the first part, the construction is documented in its built state; for this all the ground plans were redrawn by the author. 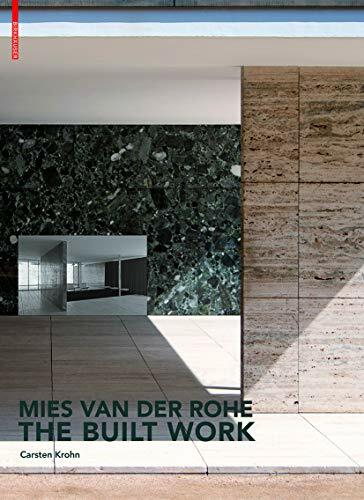 The second part outlines the changes to the buildings and the third part develops the results of this investigation with regard to their relevance to the contemporaryview of Mies' work. This essential and comprehensive Mies monograph focuses in its analysis on Mies' design intentions: it reconstructs the buildings in their original state, examines them from the present day perspective and rediscovers the inspiring architecture of a great modern master. The book presents eighty of Mies' works in chronological order.